(by Jeanne Allen, Washington Examiner) – Today, Columbus Day is unjustly under assault in some quarters. City councils in some cities have voted to replace it with “Indigenous Peoples Day,” or something similar, and many students are taught nothing of Columbus’ contributions. Thankfully, it remains a federal holiday and a state holiday as well in much of the country. 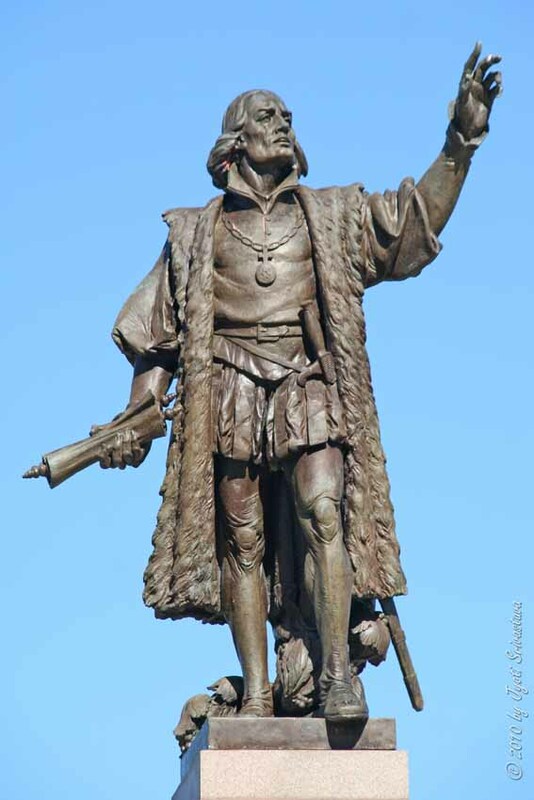 Bronze statue of Christopher Columbus as he surveys the horizon, with a map in hand, by sculptor Carl Brioschi. Dedicated on Italian Day in 1933 in Chicago’s Grant Park at A Century of Progress, [the city’s second world’s fair] from the Italian-American Commuinity of Illinois. A recent  Marist Poll shows why: Those campaigning against Columbus Day are in the minority. 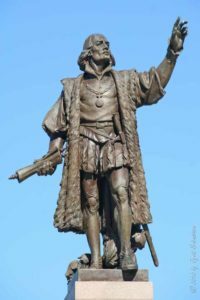 Marist shows that even with all of the attacks on Columbus, 57 percent of Americans believe it’s a good idea to have a holiday named for him. Only 29 percent believe it’s a bad idea. The reason is clear: three-quarters (76 percent) believe that Columbus and other historical figures should be judged by the standards of conduct during the time they lived in rather than by the standards of today. It’s important to understand why we must fight back on attempts to erase his just place in history. 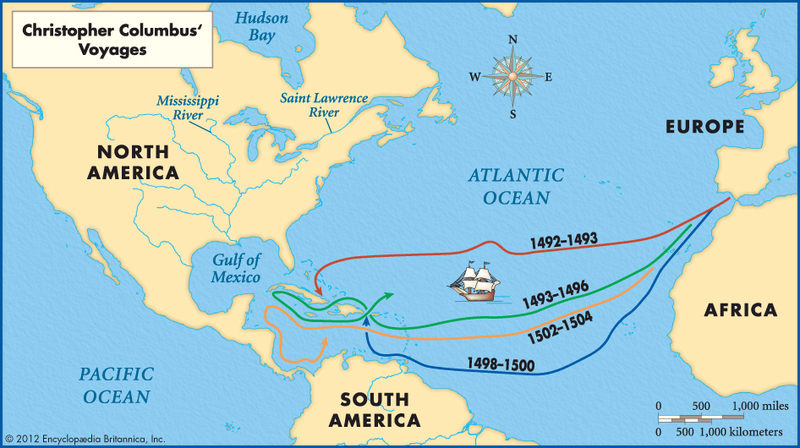 Slavery was a well-established practice in the Americas long before Columbus arrived. The Spanish monarchs, on the other hand, forbade slavery of the indigenous people of the Americas, granting them same rights of citizenship enjoyed by the people of Spain. Today’s largely secular society often has trouble understanding that among the most important motivations of both Columbus and the Spanish monarchs was a desire to evangelize those they encountered elsewhere in the world to Christianity. Deeply-felt religious beliefs and aspirations appear again and again in Columbus’s diaries and other journals and documents. …..
Presidents have lauded Columbus for well over a century. President William Howard Taft personally reviewed a huge parade at the unveiling the Columbus Memorial in front of Washington DC’s Union Station in 1912. That’s the real Columbus, the man we celebrate today. And this man who practically defines our understanding of the spirit of discovery is himself worth rediscovering, and worth teaching, with both truth and objectivity. Jeanne Allen is CEO and founder of the Center for Education Reform. Published October 9, 2017 at RealClearPolitics.com. Reprinted here October 4, 2018 for educational purposes only. May not be reproduced on other websites without permission from Washington Examiner.